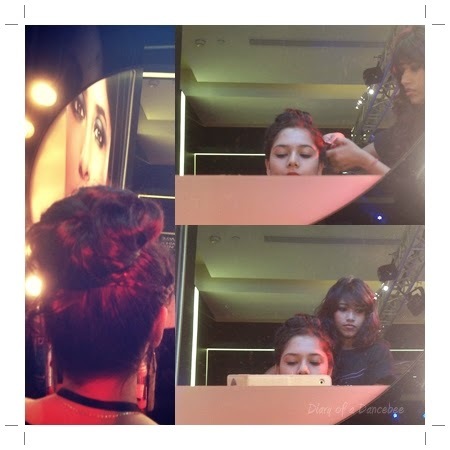 Apart from the regular runway analysis, fashion conversations and more, what kept me busy (well, almost) at the recently concluded Lakme Fashion Week Summer - Resort 2014 were the makeovers and new collection preview at the Lakme Absolute Salon near the main stage area. I am not into experimenting with my hairstyle, so I was a little skeptical about opting for something really different. The stylist informed that she wants to avoid keeping the hair open, since I was wearing gold tassel earrings that needs to be shown off. Well then, here we go. Lots of pins, a rubber band, bed head tigi hair spray and we were ready to go. The stylist opted for a high chignon. The idea was to allow the earrings to steal the limelight and be the stand out element of this outfit. I thought, that sounded like a good idea. Especially since I won't really opt for a classy hairstyle like this on a regular basis (unless there is a red carpet event, of course). In less than 15 minutes, my chignon was all ready. I love how the stylist added some drama with two tiny braids on both the sides, which gave the effect of a vintage braid hairband. Although I didn't really need heavy make up, the make up artist insisted that I get a teeny - weeny makeover in that department too. 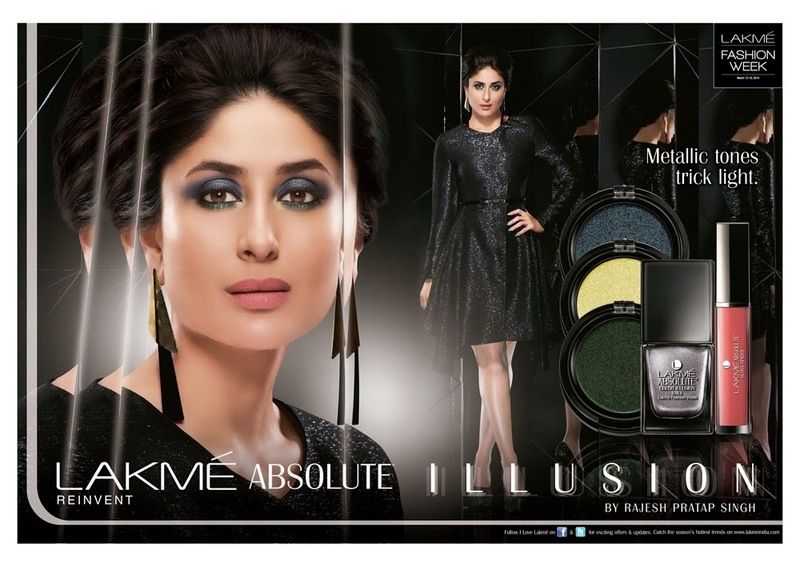 It gave me a chance to try the new range of eye shadows and pencils from the Lakme Absolute Illusion collection. Well, there is no close up of my eye make up (blame it on the bad lighting at the salon area), but it was inspired by the one sported by brand ambassador Kareena Kapoor Khan on the campaign poster. I am in love with those colours already, especially the dark, metallic blue eye shadow. And well, what do I say about Rajesh Pratap Singh's grand finale collection? Mesmerizing and simply stunning. 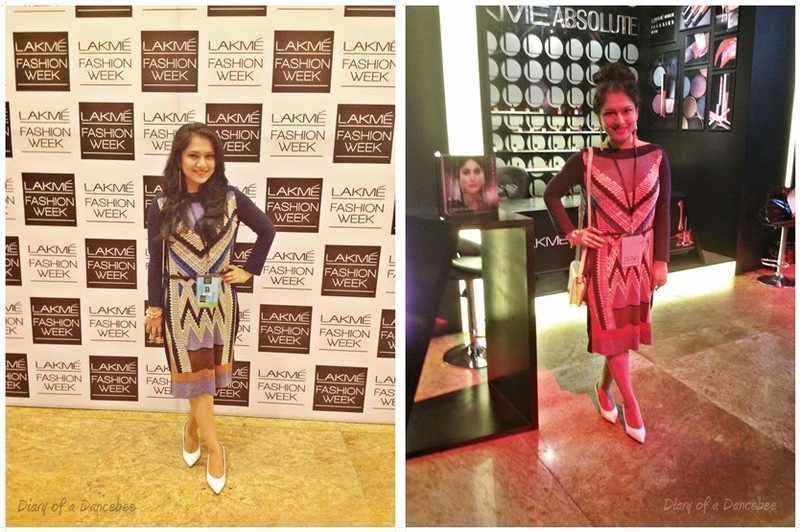 Here's my before and after image on the last day of Lakme Fashion Week Summer - Resort 2014. Which look do you prefer?